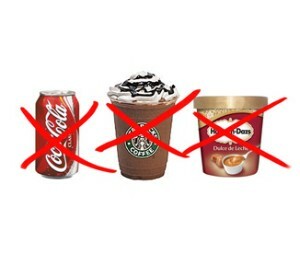 This is the Elimination Diet that I followed to find out which foods I needed to mostly avoid, and, when I did eat them, how to make my body more adapted to dealing with them. 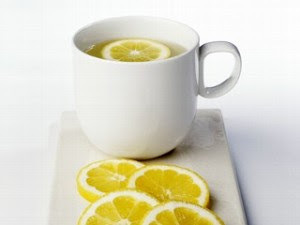 Among other things, one of the main components of this detox diet is a daily dose of hot lemon water - a natural gentle cleanse used in Europe for centuries and believed to be the secret to beautiful and youthful skin. Before embarking on this program, please remember that I am not encouraging you use this diet as a cure. 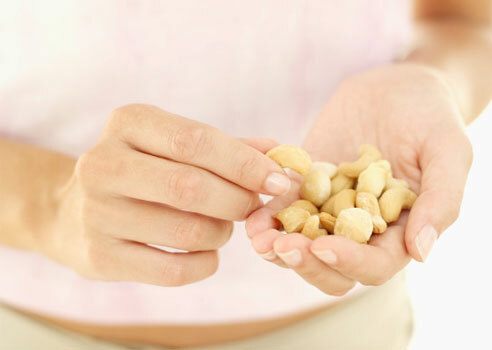 It is based on a program that many people have used to successfully isolate foods that cause them some slight digestive distress, but anyone who believes they have a real allergy problem should seek professional advice. Just as my Cook Ahead No Deprivation Weight Loss Plan is based on Mark Sisson's Primal Blueprint guidelines, so too my Elimination Plan is based on some specific guidelines as well. 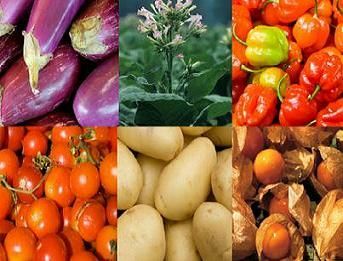 This time they were written by Dr. Mark Hymen and outlined in his book The Ultrasimple Diet. Dr. Hymen specializes in functional medicine and he has written many other books with lots of great information on different foods and their effect on your body. If you are interested in learning more on the subject I highly recommend you pick up one of his books. His recipes are delicious and many are totally Paleo, and he has a lot of interesting information on - among other things - blood sugar, metabolism and how the food you eat affects your mind and the way you age. 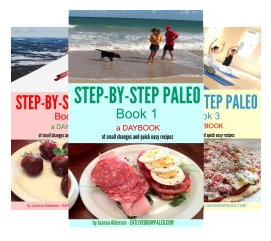 His plan as outlined in The UltraSimple Diet is not totally Paleo but it's very close, and I have found it still worked just as well with the few modifications I made to make it fit into Paleo guidelines. So this isn't exactly his plan, but it's close and the main thing is it works. The wonderful thing about this plan is that he has put together a way that you can find out exactly which foods you might be sensitive to eating while still losing weight. I'm not saying foods you might be allergic to because most people once they have allergies know it. When something makes you very sick you naturally steer clear. Far worse to my mind is being sensitive to a food. When that is the case you might feel slightly unwell sometimes, but the symptoms are never really pronounced and therefore are very easy to dismiss, while unfortunately they can be causing all sorts of bad things to be happen in your body - including weight gain and inflammation to just name a couple. In order to really test whether or not your health is actually improved with this plan, it's good to have some kind of markers, and Dr. Hymen has a test in his UltraSimple Diet Companion PDF that you can take before and after the two weeks that will help you see what results you are getting. Reading the rest of the PDF will also give you a good example of his version of this diet and you might find other things that you might want to add as well. This PDF is available online and you can download it here. The key to finding out what your food sensitivities are is to give up eating all the common foods that are known to cause problems (such as the nightshades pictured above) for a couple of weeks, then see if you notice any difference in your health or any major weight loss. Often, as soon as you remove an offending food from your diet, your body will release weight very quickly so this can be a major sign as well. Dr. Hymen says you can lose up to 10 lbs. in the two weeks you do this, and that is exactly what happened to me. Once the two weeks are up you can start introducing foods back into your diet in a specific order and keep track of any reactions. If something doesn't agree with you he suggests you eliminate it for 6 months and then try again. Sometimes just eliminating an offending food for this amount of time can make it easier for your body to accept it later. I will give you more details on this process tomorrow. Since Dr. Hymen's plan contained many foods that we don't eat when eating Paleo, I had to make my own version, and in this post I will outline it for you. To prepare for your two week Elimination, he tells you to first give up wheat products and sugar - which isn't a problem for us who are already eating Paleo. He also asks that you give up caffine which might be harder, but you are allowed a couple of cups of green tea each day which helps. He also tells you to prepare for this detox diet by making a broth and buying the supplies you need for the daily bath he recommends. 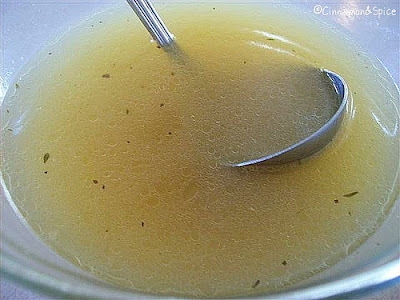 I ate chicken broth which I made from my recipe here. I also added - as per his recommendations - a couple of cups of beet greens (you can use any greens) a cup of chopped cabbage, a 2 inch piece of fresh ginger root, a couple of cloves of garlic, and a cup of sliced fresh shitaki mushrooms. (You can also used dried.) To this I added a container of organic vegetable broth for the extra nutrients and also for the added flavour. If fact, if you don't want to make your own broth from scratch, an easier way is to just use organic chicken broth and vegetable broth as a base and just add the other ingredients. You will only have to cook this for an hour or so in either your slow cooker or a large saucepan, then drain and you have basically the same thing. I keep the cooked and strained broth in the fridge and just reheat when needed. Once you start the plan you can drink unlimited amounts of broth between meals and in fact are encouraged to have at least a couple of cups a day. I found that this really does help keep you satisfied, as well as keeps you from getting hungry, so you want to have quite a bit of it on hand. You also need to have a hot bath each day with an epsum salt, baking soda mixture. I have described in detail how I make mine and store it in a jar in my bathroom in my post here. It's recommended to add Lavender essential oil, but you can use any favourite scent and it will work just as well. Now there are also individual epsum salt soaking solutions available which are more convenient to use but also more expensive, especially if you intend to make this a regular part of your routine the way I have. Use water that is as hot as you can stand, and try to stay in it at least 10 to 15 minutes. Drink a glass of filtered water before, during and after your bath to help with detoxification. It is recommended that you have this bath just before you go to sleep at night so you can go right to bed. It does tend to make you feel relaxed and drowsy, and as an added benefit, I found this really helps you get a good night's sleep and wake up feeling energized and ready to face a new day. In fact, even if you're at your ideal weight and just want to stay healthy, adding both the bath and the broth snacks to your diet even once you have finished these two detox weeks is a good idea. Mark Sisson has long sung the praises of bone broth, and drinking it throughout the day will keep you full and satisfied. 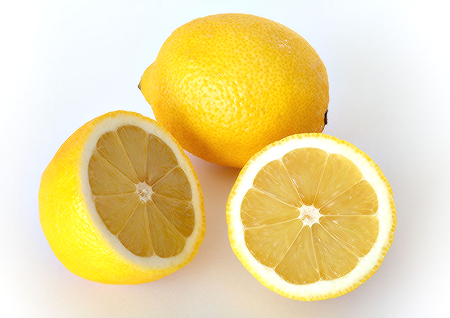 Start with a glass of water into which you squeeze the juice of 1/2 a lemon. 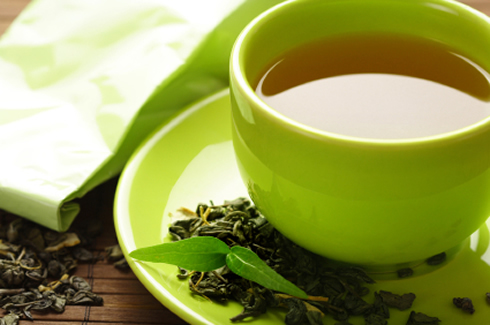 After that, if you are missing your coffee, you can have a cup of green tea. - 1/2 a frozen banana - Using a frozen one helps to make it thick and creamy. Just peel ripe bananas, cut in half, and wrap individually with plastic wrap, then put into a Ziplock bag in your freezer. - 1 tablespoon of raw almond butter. Make sure it's raw. 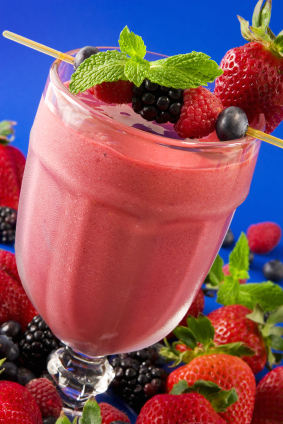 Add crushed ice if required and additional water and blend until smooth and creamy. A serving of protein - grilled or pan-fried poultry or meat but no eggs, cheese or seafood. You can use butter and herbs as a topping but no dairy products. You follow this same plan for two weeks. 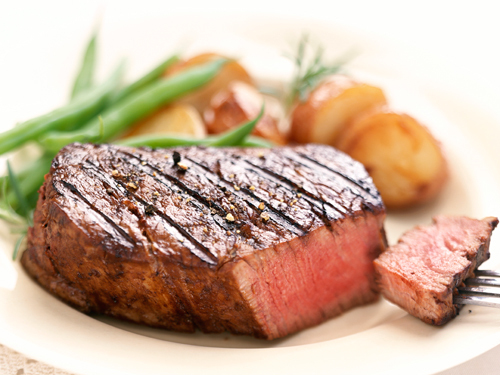 You can interchange poultry and different cuts of meat but make sure you don't use any dairy, eggs or seafood. If you are hungry you can have up to two shakes a day and two handfuls of nuts a day. 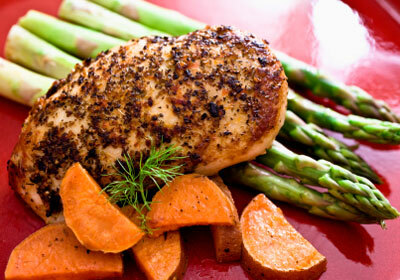 You can also have regular portions of protein, but make sure you don't overeat if you want to lose weight on this plan. You can have unlimited amounts of broth and vegetables, so make sure to have big helpings of both of these, and use them throughout the day to keep from being hungry. You can also drink water and herbal tea - as much as you wish - throughout the day. Because of the berries and banana you have each day, this isn't a particularly low carb plan, but because of all the other things you have cut out of your diet you will probably find that you still lose weight on it. During the days when you are on this plan you want to do some mild exercise such as stretching, Pilates, Yoga or BodyFlex. 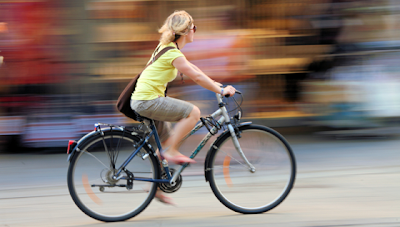 You can go for a walk or a bike ride, but don't do anything too strenuous. Get as much rest as possible, and don't forget to have your evening bath and a good night's sleep. In part 2 I will tell you what to do once these two weeks are over. Now that you have detoxed your body, you will be starting to add back all the foods that you have eliminated one by one and testing your reactions. How and in what order you do this is very important if you want to get the most useful results. What is your view on microwaving food? I feel that it's not the healthiest but can't give up the convenience for reheating, defrosting and short cooking. I wish someone would do conclusive research on this instead of the black and white information we have so far. If you look under the EAT tab up top you will find my post "Are Microwaves safe?"